POW Gaming is not just some ordinary Gaming Community, we are a Community that is here to Amplify YOUR Gaming Experience! 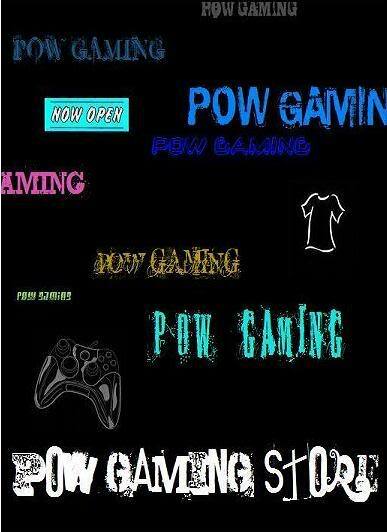 We at POW GAMING, value Respect, Loyalty, Activity and Dedication! At POW GAMING, we strive to be apart of many different games and offer opportunities for members to build leadership and management skills. "POW is not just a Gaming Community, it's a MOVEMENT!!!" Get into the BIG Tournament, the POOL Tourny!!! Registering In The Forum: MUST READ!! Welcome To POW. Please Introduce Yourself. » GAMEBATTLES for HALO 3! » WHO IS ALL READY? ARE YOU? » What do you think of the forum?? » LIL WAYNE IS THA BEST RAPPER DISAGREE? » How much do you really LOVE POW??? What do you think of the POW Forum?